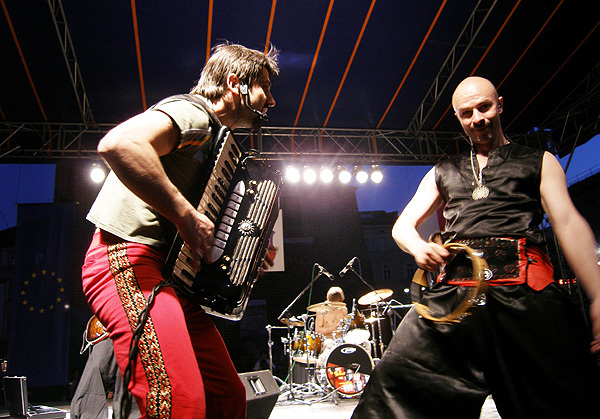 It's a photo of a very popular Ukrainian band. It was shot on May 2007 during Lviv Days in Cracow. It's name is Haydamaky - the name itself comes from Turkish: haydamak, which means to loot, plunder, pillage, ravish. They are responsible for the massacre of Uman. In total, the haydamaks murdered about twenty thousand Polish and Jewish people. Too bad that Ukrainians take pride in their fellow countrymen who murdered innocent people in the past.